WP Ticket lets your support team focus on task at hand without getting in each other's way. Agent and Manager user roles are available. Agent can see and edit the tickets assigned to them by managers. Managers can access to all tickets and edit them. Designed to ensure only authorized support team members perform certain operations. 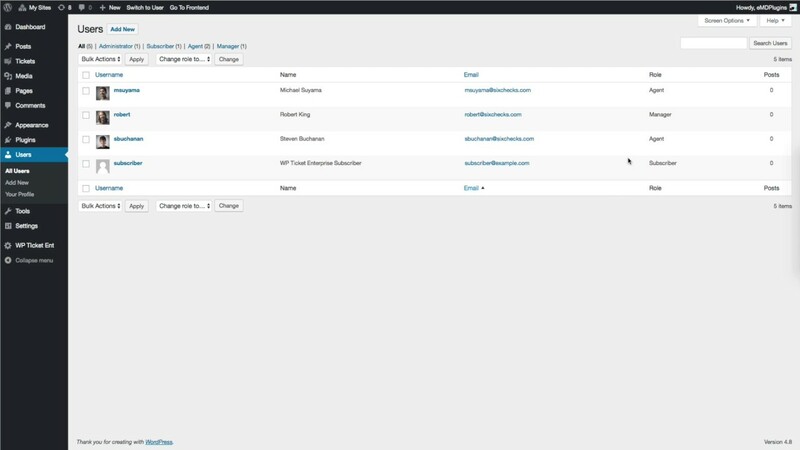 Role based ticket content access allows manager and agent members to focus on task at hand and protect your organization from unauthorized content access.